Losing weight has never been an easy and steady process. Along with a lot of patience and the correct resources, you also need some knowledge to help you achieve your goal in the correct direction. As you must know, weight loss depends on 70% diet, 20% exercise and 10% lifestyle changes. You need to follow a proper and balanced diet to achieve the maximum results in a shorter period of time. 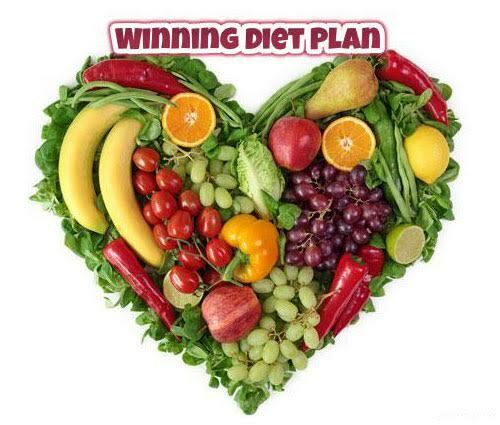 So how do we make a winning diet plan for weight loss? Follow the tips given below to start your weight loss journey in the correct direction. Depending on the gender, age and body type, each person has a different caloric intake number per day. Calories consumed are ultimately used as energy to serve various activities fulfilled by your body. An average male requires around 2500 calories per day and an average woman requires around 2000 calories per day to maintain their current weight. Now, to lose weight, you need to cut down a good amount of calories daily also you need to burn them through exercise. To lose one pound of weight, a person requires cutting down around 550 calories from their daily diet for a week, Know more about calories calculation at here. The amount of calories to be consumed also depends on your body weight and height. For example, a 175 pound person would require more number of calories as compared to a 140 pound person. But remember to not cut down on a major number of calories because it could lead to severe health problems. You need to cut 20% of your maintenance level (daily caloric requirement) in order to lose healthy weight. So, after planning to cutting down on calories from your daily diet, you must be thinking on cutting down on the number of meals per day too, isn’t it? But that is not how you would lose weight easily and healthily. It is suggested that you should eat at least 5 to 6 times a day during your weight loss regime. But keep in mind to eat smaller portions during each meal. Eating frequently helps in boosting up your metabolism and making it fast. This strategy will also help you keep full through which you would not tend to overeat during each main meal and cross the number of calories. The most important meal of the day is the breakfast. Do not skip breakfast even if you are in a hurry. It helps in building up your metabolism for the day and provides energy to fulfil your activities. Eating frequently will help in reducing your cravings and hunger pangs as well. Try to eat low calorie food items during your snacking time like fruits, nuts, brown bread or tofu, view complete calories table here. It is important to distribute protein, carbohydrates and fat in appropriate amounts when you plan your meals for a day. Your body requires 0.8 to 1.5 grams of protein per pound of body weight. So on an average, you would require around 1 gram of protein per pound of body weight. Include high protein food items such as fish, chicken, soya bean, tofu, milk, eggs and nuts in some of the meals per day. Fat is important to be included in your daily diet as well. Healthy fat should account for around 20 to 30% of your daily caloric count. For instance, if a 140 pound person consumes 140 grams of protein, and the total caloric count for him/her is 1500 calories, 25% fat would account to be 375 calories. But, since 1 gram of fat contains 9 calories, you need to divide 375 by 9 which would be around 42 grams. So ultimately, you would require 42 grams of fat per day. Some healthy fat which you could include contains cottage cheese, milk and greek yogurt. Carbohydrates are important in appropriate amounts as they provide energy for your body activities. But overloading on carbs can lead to excessive weight gain and thus it is necessary to incorporate carbs wisely in your diet. The number of carbs would be determined by subtracting the overall caloric intake from the sum of protein and fat. For example, protein would account to be 560 calories (1 gram protein = 4 calories), fat would take up 375 calories and the carbohydrates would be the remaining amount, which would be, 1500 – (560 + 375) = 565 calories (142 grams, since 1 gram of carbs is 4 calories). Some healthy carbohydrates which you could include are whole grain bread, sweet potatoes, brown rice and cooked grains. You can view a healthy and nutritious diet plan created by Seema, who lost her 20 kilo weight by following this diet. You can check her journey to motivate yourself too, at Healthy System. You should always have an idea of the type of food items which you should add and which you should avoid during your weight loss regime. Learn to store more vegetables, fruits, nuts, healthy dairy and protein. Now once you have calculated your protein, fat and carb distribution, you need to divide your meals accordingly. Keep tabs on each food item and the number of protein, carbohydrates and fat it contains. Plan and distribute your calories accordingly to create a healthy and balanced diet plan. Make a daily habit of planning your meals a day ahead. This will save you time during your hectic schedule and will keep you from over thinking. To add to it, you could also favor the pre preparations which could save you some time in the morning. It will also help you to practice uniform eating and in proper portion sizes. Planning your meals on the same day can lead to hasty decisions and it can hinder with your daily caloric intake and the balanced meals. You can also have some variety and different dishes if you plan your meals a day before. Keeping a record of what you eat, how much you exercise and tracking your progress can help you a lot in losing weight. You are aware at all times about your food consumption and daily habits. A cheat meal can be spared in this manner but you would definitely regret a whole cheat day, Stay strong for successful weight loss. You can also record the several food items and meals which plan to prepare ahead of time. It is also handy for writing down tips whenever you want to. Several fitness apps such as My Fitness Pal and Healthify Me are gaining popularity as more and more people are getting aware to be fit. These apps track your meals, count your daily calories consumed and also calories burned through exercise. These apps also have the feature of reminding you to drink water at specific intervals of time. Some apps also feature several healthy recipes and smoothies for adding to your daily meal plans. To add to it, you can also get the motivation that you need at times when you feel low through these apps. Browse through the several health apps available and stick to one on a regular basis which you find suitable for you. By following these tips and more to prepare a winning diet plan can help you a lot in your weight loss regime. After all, a healthy weight loss depends majorly on the type of food you eat.